While these are "chains", they are primarily Southern based and regional and some have even appeared in RF trip reports. If you're making your way through the South these places make for a good stop for a good burger. Milo's in Birmingham does a good job and so does Dixie Queen in Memphis. Backyard Burgers has spread out quite a bit, but still makes a decent burger (they certainly give 5 Guys a run for the money, IMO). I'm waiting not-so-patiently for Cook Out to come to the Metroplex. Not so much for the burgers (we got plenty!) but for their Eastern Carolina 'Cue. So far they've made it within 400 miles (Jackson, MS & Memphis) - still too much for a day-trip. It's interesting to see Royal Castle on this list. I grew up in Miami and used to go there all the time as a kid. There was one across the street from my junior high school, if I remember correctly. But I don't think I had seen one down there, when I would visit my parents, for decades, maybe five decades. No. No taco's there. Burgers and chicken and the like. 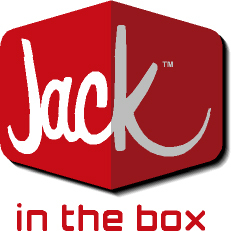 Are you thinking of Jack In The Box? They serve mystery meat cheap taco's. But the logos are almost identical. Jack in the Box tacos have killed. Great menu! They need to spread out... like to the west coast! I had the same thought about the logos...double-take material, for sure. I've eaten them only a few times and not for awhile, but JIB tacos are a great fast food fix. The logo's are similar, in that one says "Jack" and is in a red cube or square and the other say's "Jack's" in a red circle. But that's were it ends. I definitely prefer the menu at Jack's over Jack in the Box. We had a Jack in the box next door in Fishers, IN and it lasted about a year. No-one wanted fast food that low down the scale. I am guessing that people did remember the taco related deaths and illnesses. I would sue if I was the suing sort. The lettering is very similar and they both have red backgrounds. That's enough to take/bring to court! Too much time has passed between now and the founding. If they didn't do it way back when it's too late. They should have made their move decades ago. I really wouldn't... but there are so many lawsuits for less than that. At least in California. Jack's in Alabama has about 60-70 stores, all close to their headquarters in Birmingham. Used to have locations in south Alabama (Dothan) & northwest Florida (Panama City) in late '70s-early '80s.